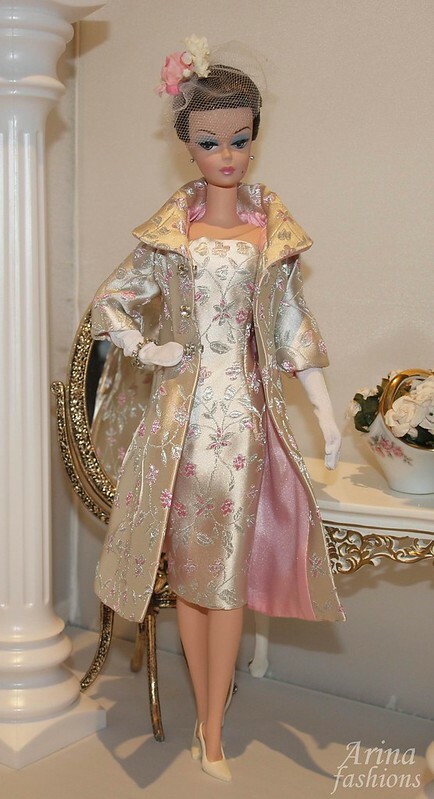 This perfect Valentine’s Day outfit fits FR2 and Silkstone Barbie dolls. This elegant ensemble is a combination of pale rose pink, pewter and champagne in matte. The brocade coat has a shawl collar and pleated front. Crystals serve as buttons. 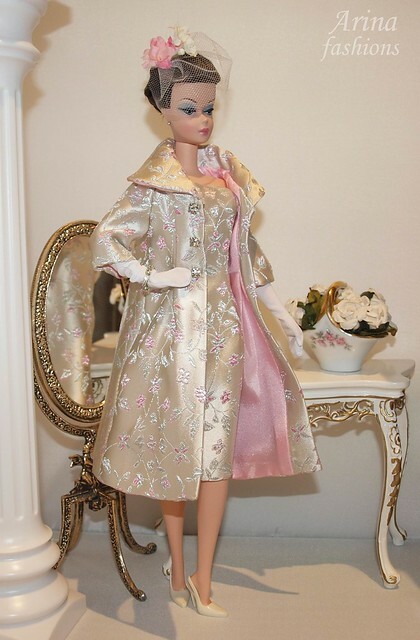 The coat is fully lined in a pink silk. A strapless sheath dress completes the ensemble. The dress is fully lined with snap back closure. 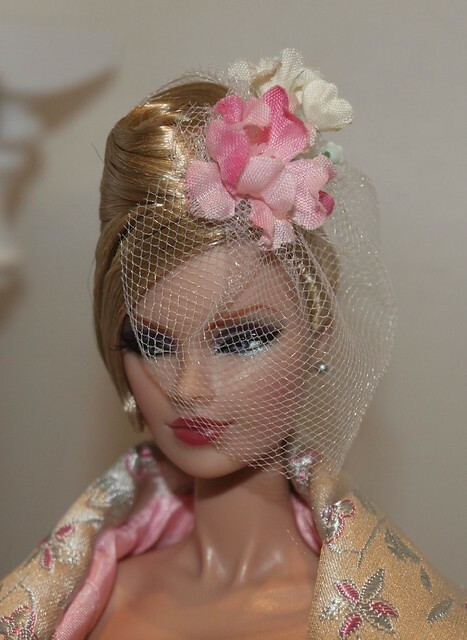 The fascinator style headpiece is cream and pink floral with white tulle blusherand held in place with a pin. The jewels included a bracelet and earrings. A pair of elbow length gloves in soft white lycra are also included. It does not include the doll, shoes or background. All my fashions are nicely packed in a gift box.